Understanding the Tax Exemption for Medical Cannabis Patients in Washington State | Real. Functional. This week I don’t have any updates about the process for getting my medical cannabis card. Since my authorization appointment is scheduled for this upcoming Tuesday, I’ve kind of just been playing the waiting game. So instead of a process update, I decided to take the time to clear up the confusion I was having about the tax exemption that medical cannabis patients are entitled to once they’ve acquired their card. Before I started this process, I didn’t realize that joining the “medical marijuana authorization database” was voluntary for patients 18-years or older. Unfortunately, “voluntary” is kind of a misnomer because patients have to join the database if they want to be able to buy products tax-free, grow up to 6 cannabis plants at home, join a medical cannabis co-op, and/or buy high-THC products. If patients choose not to join the database, they don’t get the medical recognition card. From what I can tell, without the medical recognition card a patient’s medical authorization form is basically useless. Thankfully, from what I can tell, the database isn’t actually too scary. If you’d like to learn more about who has access to the patient database, check out WA DOH’s handout titled, A Patient’s Guide to the Medical Marijuana Database. The provided link will take you to a PDF version of the handout, and I think you’ll find it as informative as I did. Once patients have been added to the database, they pay the dispensary a $1 fee for the medical card. The $1 fee is required by the WA DOH; however, as I’ve mentioned before, some dispensaries charge more than $1 to help pay for the cost of printing the medical card. The WA DOH provides an updated list of medically certified dispensaries in Washington state and it is organized by county. I recommend calling ahead of time to find out how much the fee will be. You should also call ahead to check and see if your dispensary of choice requires an appointment for getting your medical card as some dispensaries do require an appointment. After the patient receives their medical card, they are eligible for the sales and use tax exemption. 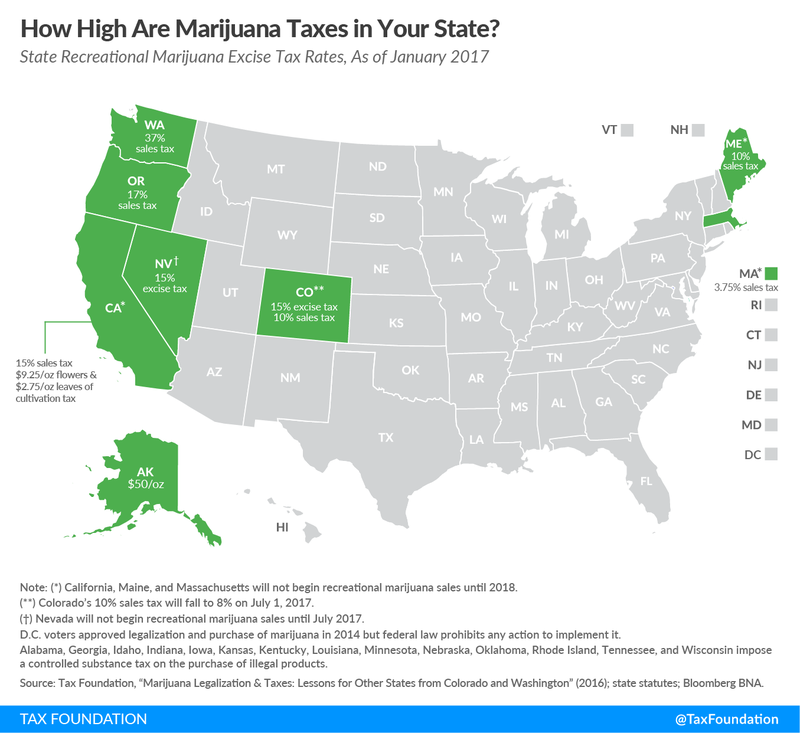 But, technically, cannabis is taxed 3-times in Washington state through (1) an excise tax (37%); (2) a combined state sales and use tax (6.5%); and, (3) a combined local city/county sales and use tax (2.3% in Spokane Valley). Medical patients are only exempt from the local and state sales and use taxes. Patients from Washington can use the Tax Rate Lookup tool on the Washington Department of Revenue (WA DOR) website to calculate their total local city/county sales and use tax exemption. They will need to use the Address Search feature and then enter the address of the medically certified dispensary of their choice. As you can see, the excise tax is nowhere to be seen in the chart above. There’s good news and bad news about that. Bad news: cannabis patients aren’t exempt from Washington State’s 37% excise tax on cannabis. Good news: cannabis patients do not pay the excise tax directly. Instead, dispensaries are responsible for paying the WA DOH 37% of every taxable sale made each month. In other words, no matter who they sell their product to, or how much each customer does or does not pay in taxes, dispensaries must pay the excise tax every month. However, that cost is definitely handed down to the customer when they buy products. My theory, as a non-dispensary owner, is that the 37% tax is added to the shelf-price after dispensaries mark-up product for profit. It wouldn’t make sense for dispensaries to pay 37% of the cost that they buy product for; they wouldn’t just lose money, they would hemorrhage it and be forced out of business. So technically, customers do pay the excise tax, but no one is exempt and it’s already included in the product cost. One last thing, cannabis patients are only entitled to the sales and use tax exemption when they buy product from a medically certified dispensary. While it is possible for non-certified dispensaries to offer a discount, it is neither required nor guaranteed that they will. Once again, my recommendation is to call ahead to find out. Only cannabis patients who join the medical marijuana authorization database and receive their medical marijuana recognition card are eligible for the sales and use tax exemption. Cannabis patients are only eligible for tax exemption when they buy cannabis from a medically certified dispensary in Washington State. Cannabis patients are only exempt from paying state and local sales and use taxes; therefore, the tax exemption should range anywhere from 7% to 11%. The exact exemption will depend on where a patient’s preferred dispensary is located. Patients can use the Tax Rate Lookup tool on the WA DOR website to calculate the total for their local city/county sales and use tax exemption. Dispensaries are responsible for the 37% cannabis excise tax in Washington state and medical cannabis patients are not exempt from that tax. Thanks for hanging in there, friends. I promise next week’s article will be less boring because, as I mentioned earlier, my authorization appointment is scheduled for this upcoming Tuesday. Next week I plan to write about my appointment and subsequent trip to have join the cannabis database. Stay tuned!